A wonderful journey in a wild and unexplored area located north of Annapurna: the Nar Phu Valley inhabited. This trek is perfect for travelers who want to discover to an untouched valley, off the beaten track in the remote area. A rough and wild trek, this trek takes you to the exotic Nar Phu valley that lies in the remote corner of the Annapurna region. Opened to visitors only in the year 2003, the Nar Phu valley Trek remains untouched by modernity. The inhabitants, who roughly comprises about 350 Nepalese Tibetans, have retained their age-old practices. Most of them are engaged in yak herding and farming. Visited by very few trekkers this exotic land offers medieval Tibetan culture in undisturbed form, dramatic mountain views and great alpine scenery in a Tibet-like flavor. 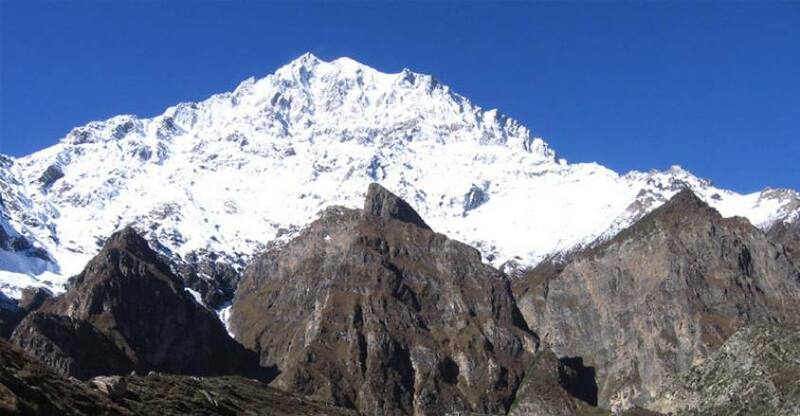 Nar Phu Valley trekking starts the following the popular trekking routes of Annapurna Circuit trail and then branch off from Koto to follow the off the beaten track to Nar Phu valley in the north of Manang and pass the Kang La pass with a magnificent panorama of Annapurna massifs. The Kang La pass links Nar with Manang and three other Bhotia villages in the Neyshang valley. Day 01: Arrival in Kathmandu (1,350m. Day 03: Kathmandu to Dharapani 1960m. Day 04: Dharapani to Koto (2,610m. 5-6 hours. Day 05: Koto to Meta (3,560m.7-8 hours. Day 06: Meta to Phu Gaon (4,250m. 7-8 hours. Day 07: Acclimatization at Phu Gaon. Day 08: Phu Gaon to Nar (4,110m. 6-7 hours. Day 09: Acclimatization and preparation at Nar. Day 10: Nar to Kang La pass (5,322m. to Ngwal (3,660m. 7-8 hours. Day 11: Ngwal to Chame 2750m. 5-6 hours. Trekking permits as Nar Phu valley special permit and ACAP ( Annapurna Conservation area project). From Kathmandu – Dharapani Chame to Kathmandu by 4WD Jeep or private Bus. All our government taxes, Tourist service charge, and Vat. arrival at the Tribhuwan International Airport (TIA) in Kathmandu, we will be greeted by a representative from Halesi Treks take to the hotel. After checking in may take a rest. Overnight in Kathmandu. Today we equipment checked to get introduced to fellow participants and discuss our trip. Overnight in Kathmandu. Drive 9-10 hours We begin our journey at early dawn as we have a long drive ahead of us. We head-start right after breakfast and leave Kathmandu around 7 am in the morning. We see picturesque views of Nepali countryside, lush greeneries, rivers, villages, farms and mountain vistas en route throughout the drive. After 8-10 hours of the drive, we reach Dharapani via Besishahar. Overnight at Tent camp. Begin our trek in the morning towards Bagarchhap and Danaque which takes about an hour. The trail is steeply ascending up to Timang. We have a good view of Mt. Manaslu. Now the trail continues through pine forests again till Latamarang which takes about one and half hour. Overnight Tent camp. we register our restricted area permit at the Police Check Post. Then we trek through the River bank of Soti Khola again through wonderful pine forests, streams and suspension and reach Dharmasala. We have our packed lunch on the way. We then continue the trek through forests and ascend steeply towards Meta village. Good view of Annapurna II and Lamjung Himal. Overnight at Tent camp. start our day traversing up and down and crossing suspension bridges over different streams. After almost 4 hours of the trek, we reach Kyang where we can see the remnants, particularly the ruined forts of the Khampa settlement (the place which Khampa refugees from Tibet once captured and lived). We further keep walking past the Phu Khola on a rocky trail and finally reach the Phu village in another 3 to 4 hours. Overnight at Tent camp. Today is the scheduled acclimatization day whereby we are suggested to rest and get acclimatized with the altitude. As we are in the Lost/Hidden Valley, we can explore the culture, natural diversity, and religious practices of the ethnic groups like Lama, Gurung, and Ghale in here. Apart from exploring the cultural venues of the lost valley, the valley also offers us a great view of Himlung Himal and other snow peaks. Overnight at Tent camp. The trail descends passing many streams and suspension bridges until Mahendra Pul which takes about 4 hours. We pass the high suspension bridge 80m over the Gorge of Lapche River. We have lunch in Mahendra Pul. After lunch, the trail steeply ascends passing many Buddhist stupas until Nar Village which takes about 2 hours. We find several Buddhist Monasteries. Overnight at Tent camp. the adventurous day with long day hike so we get up early in the morning and head to Kangla pass. From the pass, we can see the Annapurna massif. We further trek down to Ngwal. Overnight at Tent camp. .From Ngwal, we head for Chame all the way down today. We pass through village Gheru, Pisang overlooking the amazing views of Annapurna range. Overnight at Tent camp. Drive downhill through beautiful villages and follow the Marshyangdi River. Besisahar to Kathmandu 4 hours to Kathmandu private jeep or bus.Overnight at hotel. evening Farwell dinner party, Overnight at hotel.